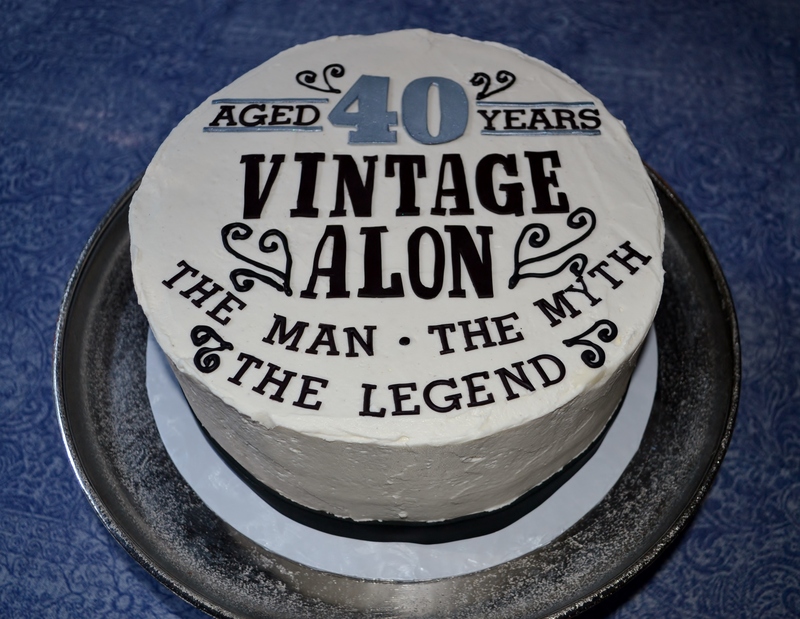 My client for this cake was throwing a “vintage dude” 40th birthday party for her husband. I had originally suggested a fondant covered cake because they look more polished, and I think this is important, especially for special occasions. However, when she showed me the decor that she was using, I decided that a smooth buttercream frosting was more appropriate. The design itself was very simple and mirrored the “vintage dude” plates that she was using. 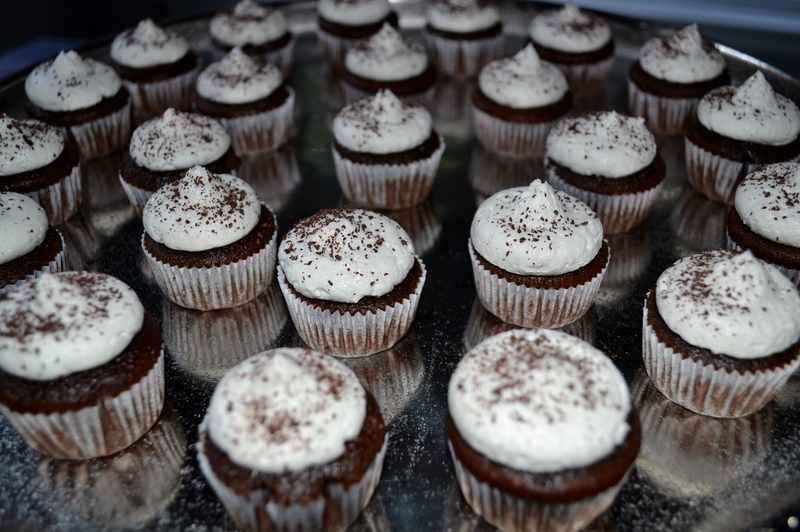 The cake itself did not serve quite enough people, so we supplemented it with 24 mini cupcakes that were frosted and dusted with chocolate shavings.